Even without serious skin issues, Microdermabrasion & Micro-needling treatments yield beneficial results. A Microdermabrasion facial will remove the dead layer of skin that normal scrubs cannot reach. If you find your usual products are not as effective, a Microdermabrasion facial will expose new skin that will be more receptive to your “at home” skin regime. Derma Genesis Microdermabrasion is a safe, non surgical skin resurfacing procedure performed by a certified beautician using medical grade equipment. It is an ideal treatment for old or young skin types, male or female. Mainly used on the facial area, it may also be performed on the chest, back, arms shoulders or any other problem area. Derma Genesis Microdermabrasion uses a highly controlled flow of fine, medical grade crystals to remove the dead outermost layer of skin. This deep exfoliation process reveals the new soft skin underneath – skin that is very receptive to nutrients. After a full skin cleanse, the beautician uses a hand piece with a small nozzle that she passes over the skin a number of times. The nozzle both blasts the crystals and vacuums the dead skin cells away. The treatment is followed up with a relaxing soothing mask. The treatment time is around 45 minutes. Micro-needling infusion therapy is an advanced aesthetic treatment used to target many skin concerns including fine lines and wrinkles, sun damage and acne scarring. Dermafrac uses a roller with 180 super fine needles, these needles gently puncture the top layers of skin and create a microchannel that allows a peptide solution to simultaneously penetrate the skin leaving you with plump, glowing, younger looking skin. Is this a cosmetic procedure? No but it is the next best thing! Often referred to as the “lunchtime facelift”, the results from a course of Microdermabrasion and Micro-needling will brighten the skin significantly and you will see an immediate reduction in lines and wrinkles. People worry that the procedures sound painful but while not painful, it is a more intense skin workout than most facials! The peptide solution is pleasantly cooling against the skin and there is no anesthesia required or recovery time. Slight redness or faint scratches may remain after the treatment, depending on your skin’s sensitivity, but these will fade within a couple of hours. It is advised that you do not wear make up after the procedure for the evening or a few hours to ensure the best benefit from the treatment. Amazing results have been proven on problem skin such as acne and skin with blackheads and clogged pores see huge benefits. Improvements in texture and appearance of the skin is immediate but the long term benefits of multiple procedures is remarkable. Is there anyone who cant have this procedure? Pregnant women and patients on certain medications are contra indicated to Medical Microdermabrasion & Micro-needling. 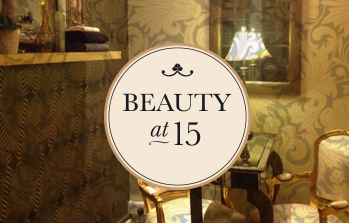 If you are in any doubt, our beautician Orla can be consulted confidentially by calling 025 32677. High SPF sun protection (25+) must be worn after these procedures for 2 weeks as new skin is very sensitive to the sun’s rays. 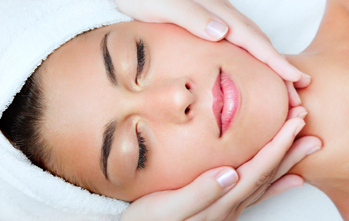 We are running an introductory offer on our Microdermabrasion facials – €68 per facial. A course of 6 costs €340. Dermafrac facials – €110 for Dermafrac – a course of 6 costs €550. Microdermabrasion and Dermafrac combination facial is currently €160 with a course of 6 only €800. This is around 15% cheaper than after the offer so now is a good time to book your course! You can book an appointment online or by calling 025 32677.